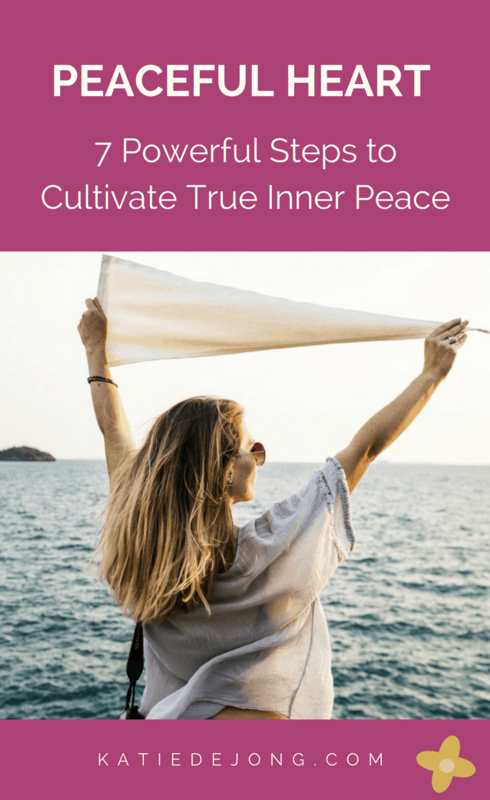 One of the keys to enjoying life to its fullest and experiencing lasting happiness is our ability to maintain inner peace, even in the face of challenging or hurtful situations. Do you find yourself getting knocked off-centre regularly by different people and/or situations? Or do you often feel hurt by the actions or behaviours of others towards you? If so, you’re not alone. It’s difficult when someone else’s behaviour leaves us feeling hurt, sad, angry or upset, particularly if it’s someone we consider a friend, a close colleague or partner. 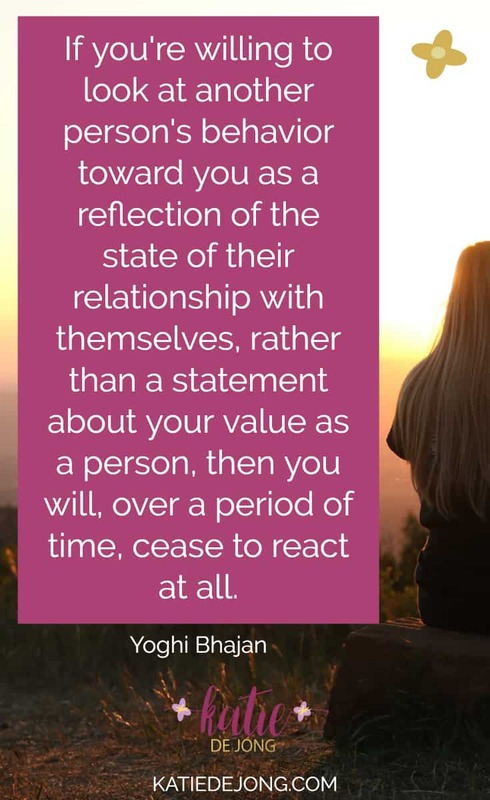 But most often, someone else’s hurtful behaviour is a reflection of their own inner turmoil, and nothing to do with your own value as a person. 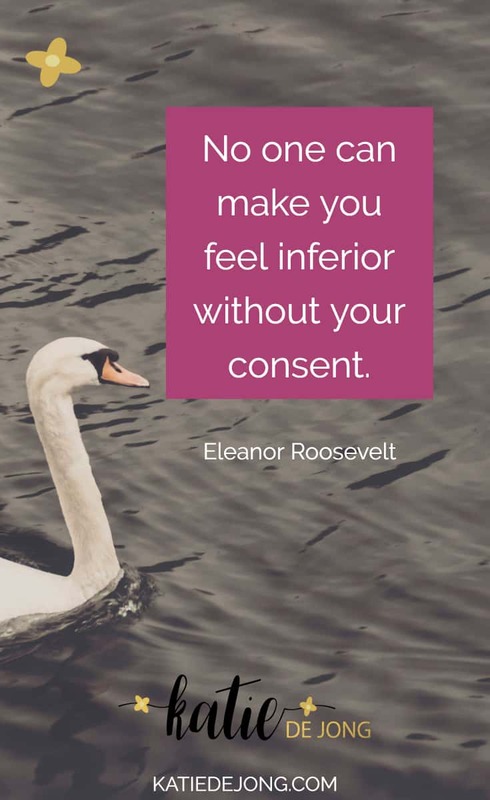 Instead of feeling hurt and unworthy in the face of someone else’s negative behaviours, what if you could be so grounded in your own sense of self-worth that you don’t take their behaviour personally? What if you could remain calm and resist the temptation to react or get drawn into unnecessary drama? Your ability to stay calm and unaffected in what feels like a hurtful or negative situation is directly related to your level of self-love and acceptance. I’m about to share with you the most powerful technique I know for developing the essential quality of self-love, which allows you to become more resilient and less knocked around by the people in your life. 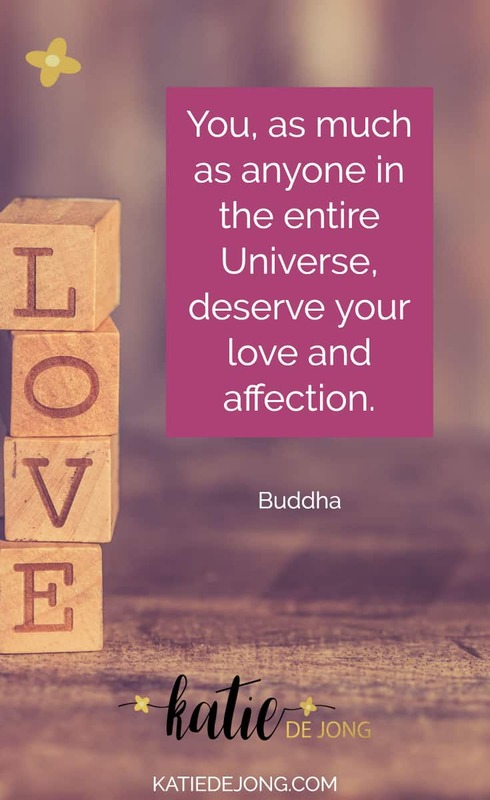 Imagine if you could feel so secure and in love with who you are, authentically and at your core, that nothing can disturb your inner peace and you no longer see outside events or situations as a reflection of your own self-worth or value. One of my favourite teachers Panache Desai talks about the way we see someone when we’re completely, head-over-heels in love with them. Remember how delicious it feels when you first fall in love? Or when you meet a new friend who you think is just amazing? Even if friends or family try to warn you to take it slow, you don’t take any of it on board because you love this person so much that you just refuse to see anything bad about them. Imagine if you could feel that way about yourself? Imagine knowing without a shadow of a doubt that you’re a valuable, wonderful, precious person that the other person would be privileged to have in their life. This is the level of radical self-acceptance and self-love I believe we all need to develop and maintain as part of our mission in life. Because when you develop this level of self-love, you’re so at peace with yourself that nothing can disturb your sense of well-being. And this has a positive impact on everyone and everything around you. You’re like the rock in the middle of the storm, exuding nothing but peace and tranquility outwards to others, like ripples in a pond. Unflappable. Wrapped up in your own self-love. Sounds great, doesn’t it? But how do you reach this level of self-love and acceptance? 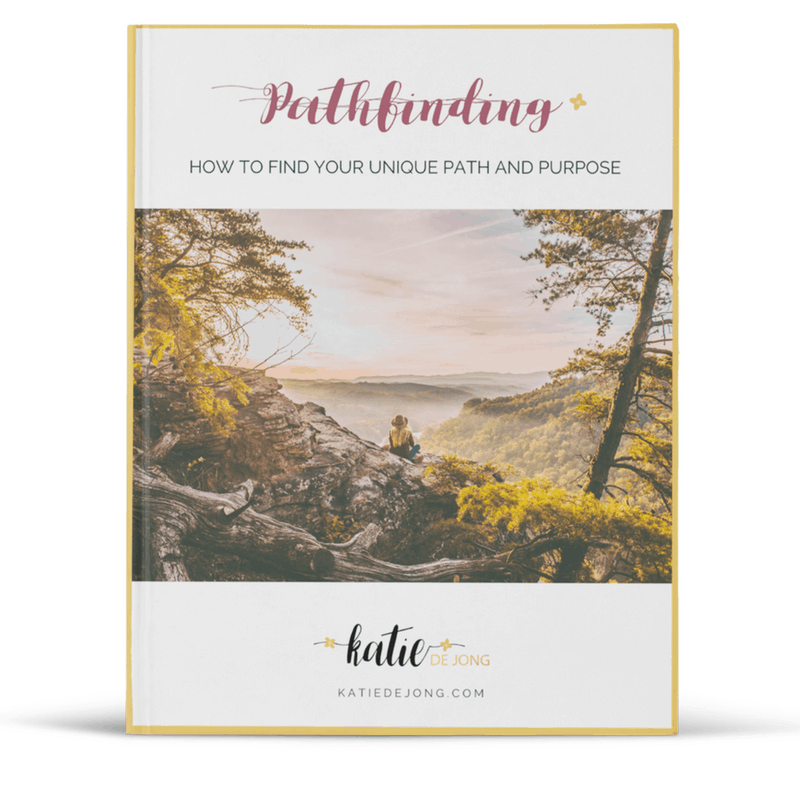 As you can probably guess – it’s not easy and can take a long time, depending on how far you’ve drifted from your natural state of unconditional love due to the environment you grew up in. I still struggle with it regularly myself and it’s something I have to constantly work on. If you’re like most of us, you probably grew up being bombarded with all kinds of negative messaging that led you to believe that you’re not OK just as you are. You probably needed to work harder, be smarter, achieve more, do more, change the way you look, find better friends or whatever it was you were told. As a result, you probably developed a very good inner critic who beats you up and criticises you before anybody else can. 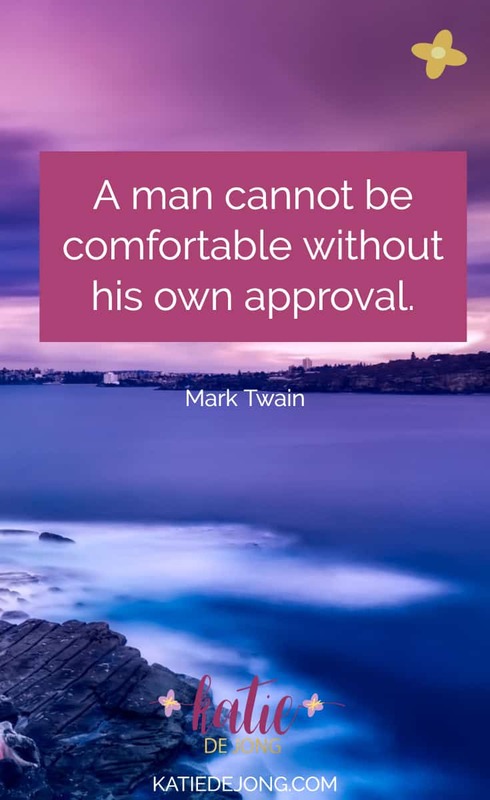 And if you’re like most people, that inner critic takes up a lot more space in your mind than the loving, caring voice who tells you that you’re wonderful and perfect as you are, who is forgiving and understanding when you make mistakes and comforts you with kind words when you need them. But somehow you need to find ways to start giving that loving, caring voice more time and space in your own head and heart. Panache describes this level of self-love that I’m talking about as the ‘liquid gold’ that lives deep within you. It’s your true essence; it’s who you were when you came into the world, before you started becoming bombarded with societal conditioning and negative beliefs about yourself and life. And finding that liquid gold is a little like the mining process itself; you have to dig and excavate through the layers of stories, pain and untruths that you’ve accumulated in life, before you can access it. I did a lot of this digging and excavating in my mid-thirties during a life crisis that caused me to reevaluate my entire life. With the help of my counsellor and various therapists, we peeled back many layers of emotional pain that I’d accumulated. While I realised at the time that I wasn’t ‘done’ in any sense, I thought we’d worked through the majority of obstacles to self-love that I had within me. And for a few years I cruised along in a fairly harmonious way, feeling quite peaceful and satisfied. But it’s almost as though life lets us off the hook for a little while and when we move to a new level of self-love and acceptance – BAM! Life continues to bring us new, difficult situations that show us where we still harbour old wounds and where we haven’t yet reached peace and acceptance within ourselves. This is the dynamic that’s been happening to me this past year. I’ve been confronted regularly with situations in relationships that have been very challenging and painful. There have been many times when I’ve been thinking “What’s wrong with me?”. Slowly I’m coming to realise that it’s life showing me the next part that’s up for healing – another part of myself that I haven’t yet learned to embrace and love; another situation in which I’m affected by the opinions and behaviours of those around me, because I haven’t yet learned to love myself unconditionally. Of course, we always need to carefully look at our own role in difficult situations and take full ownership of where we’ve contributed to it going ‘wrong’. But in some cases, it’s not about us. Sometimes just by being yourself, you will trigger reactions in someone else because of emotional pain they’ve accumulated in their own life. In Michael Brown’s book The Presence Process, he describes the difference between ‘reacting’ and ‘responding’. Reacting is when you retaliate with anger or drama. Responding is when you simply notice what’s happening, observe, and then take the appropriate measures. Perhaps you need to find better ways to communicate with this person, or have stronger boundaries with them in future. Or maybe you need to find a way to step back and create some loving distance. But before you decide anything, you’ll need to remove yourself from the situation entirely, so you can process what’s happened and figure out the appropriate response. It’s very difficult to remain unaffected in the presence of someone else’s anger or passive-aggressive behaviors that are directed towards you. Learning to be peaceful and non-reactive in the face of negativity and drama is the biggest gift you can give yourself and others. Rather than adding to the drama, you’re able to diffuse potentially difficult situations. You can always tell when you’re in the presence of someone who feels very comfortable in their own skin, right? They exude a kind of peace and tranquility that’s infectious and lovely to be around. They make us feel good about ourselves, because they feel good about themselves. If someone has just done something that feels hurtful or unfair, avoid reacting immediately (if you can) and take a deep breath. Feel the emotion rising within you and try to sense where and what the feeling is. Is it sadness? Is it anger? Is it in your chest? Or in your solar plexus? Or your gut? Try to breathe into the feeling and be with it for a moment. This is hard if someone else’s behaviour takes you by surprise and you’re triggered into a default response. If you’ve reacted, don’t worry. Find a way to excuse yourself as quickly as possible and give yourself some space and time to process what’s just happened. Step 3: When Have You Felt This Feeling Before? Try to recall when you’ve felt this feeling before. Perhaps it was recently or perhaps it was a long time ago. Go back as far as you can and try to recall your earliest memory of this feeling. For example, I have a pattern of feeling hurt if I feel I’m being ‘left out’ of certain situations. When I sat with this feeling of being left out, I was able to trace it back to many situations that I experienced with my two sisters as I was growing up, when it felt as though they were excluding me. My earliest memory was when I was about five years old. If you can only remember a recent situation, that’s OK. With time you’ll be able to access your earlier memories. But most psychologists agree that all large emotional triggers we feel now are caused by an original ‘wounding’ event that happened once or multiple times in your youth. And this pattern will keep surfacing in other lives, through other people, until we recognise and resolve the emotional pain attached to the original wound. Step 4: How Did Your Younger Self Feel When it First Happened? Bring that original or earlier event to mind and picture your younger self sitting in front of you. How ist that young self feeling? Sad? Hurt? Disappointed? Angry? Ashamed? Humiliated? Try to tap into all the feelings and see yourself feeling them. When I first tapped into mine, I could see my younger self sitting on her own, sobbing with sadness, big tears rolling down her cheeks, shoulders heaving up and down. Now in your mind, wrap your younger self in your arms and cuddle him/her as you would your own child. Tell them you’re here for them and you understand how they’re feeling. Tell them it’s OK to feel the way they do. Hold them in your arms as long as you need to for the strong emotion to pass. Step 6: Remind Your Younger Self of Their Perfection, Worthiness, and Wholeness. Now, remind your younger self of all their positive qualities. Remind them that they’re perfect, whole and complete just as they are. Do this several times, or as many times as you need. Stay with your inner child as long as you need to, and when you feel ready, let them know you’re going now, but that they can call on you anytime they need some love and attention. Step 7: Take Some Deep Breaths and Complete the Meditation. Open your eyes, take a few deep breaths. You have just conversed with and comforted your inner child. Know that you can do this every time you feel hurt or triggered. Do it as often as you need to. Open heart, big fence: 6 tips for maintaining healthy boundaries in your life: In this blog post I discuss how healthy boundaries are an essential part of greater self-love and how to hold strong boundaries. 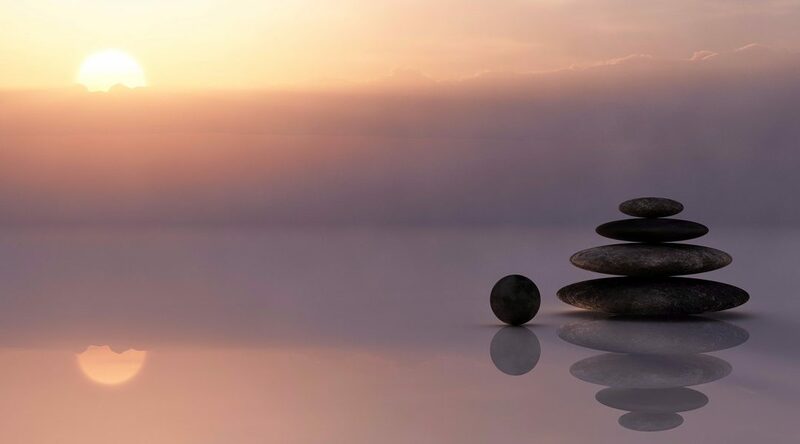 The Healing Code: How to reclaim your health & well-being in three powerful steps: In this post I discuss how to heal emotional pain to move to greater levels of self-love. Why some people are toxic, and how to make sure you’re not: For help on working your way through your negative and painful ‘shadow’ emotions to reach greater levels of inner peace. Bethany Webster’s 7 week course “Heal the Mother Wound” which can also be applied to healing any other relationship in your life, and does not involve the other person – this is an inside job, with powerful effects on your life and your ability to stay grounded in self-love and acceptance. 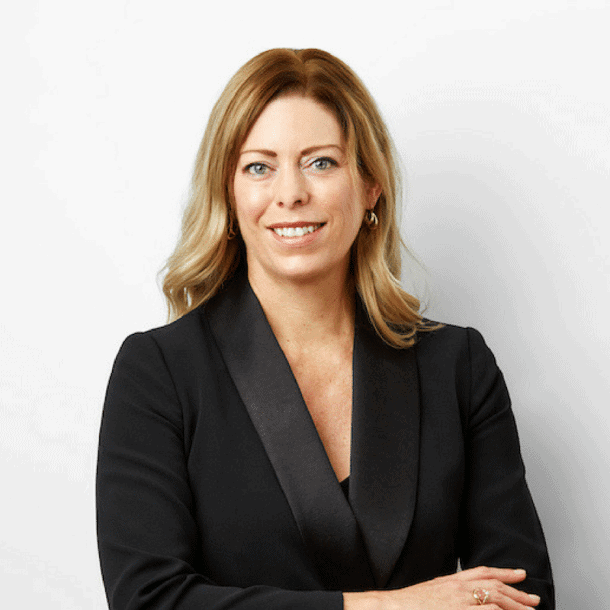 Claire Zammit’s 7 week course Feminine Power. This course was life changing for me and a huge turning point in my ability to make peace with my past, to embrace who I am and to start creating the future I love. Inner bonding – Becoming a loving adult to your inner child, Margaret Paul, Ph.D.
And finally, if you need help in discovering your ‘true path’ – the work or vocation that makes you want to jump out of bed each and every morning – please claim your FREE copy of my E-Book PATHFINDING: HOW TO FIND YOUR UNIQUE PATH AND PURPOSE. It is in point of fact a great and helpful piece of information. I am glad that you simply shared this useful info with us. Please keep us informed like this. Thank you for sharing.